You know the cookie shops in the mall? 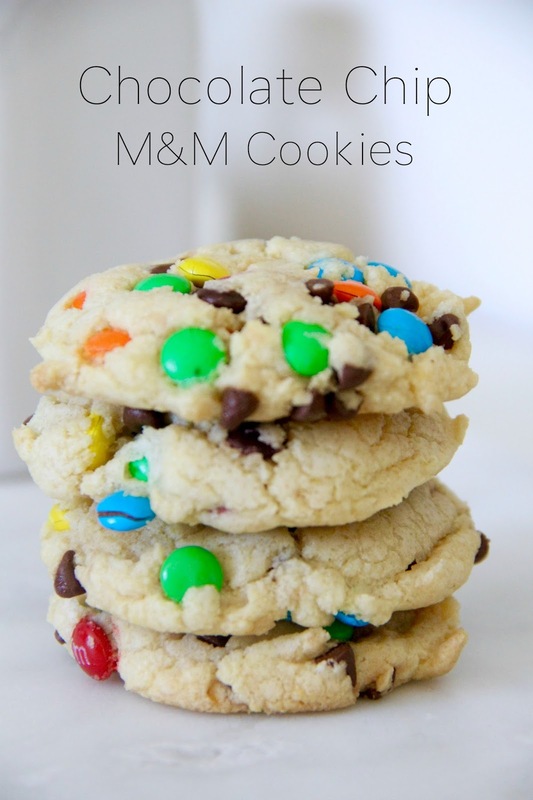 Well I love their m&m cookies. 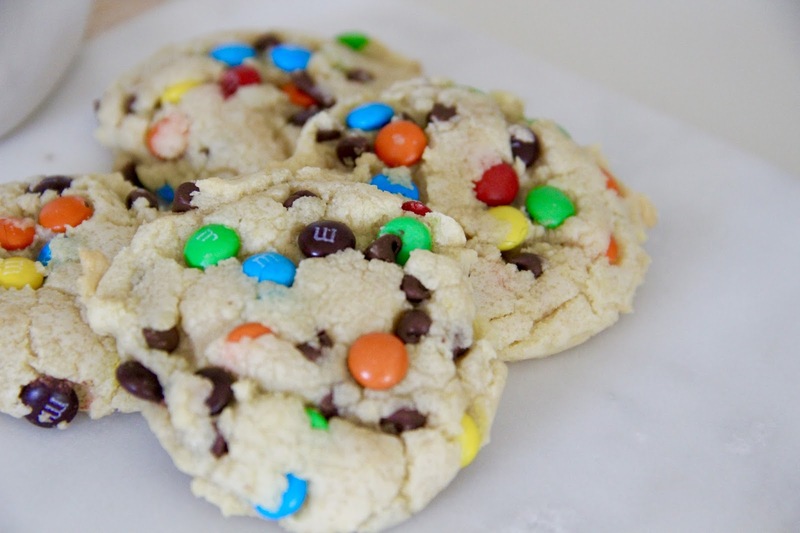 As much as I have tried to duplicate those cookies at home, I haven't been able to crack the recipe. And then yesterday morning it happened, and the cookie heavens opened up and shown down on me. Okay, so that's a little dramatic. 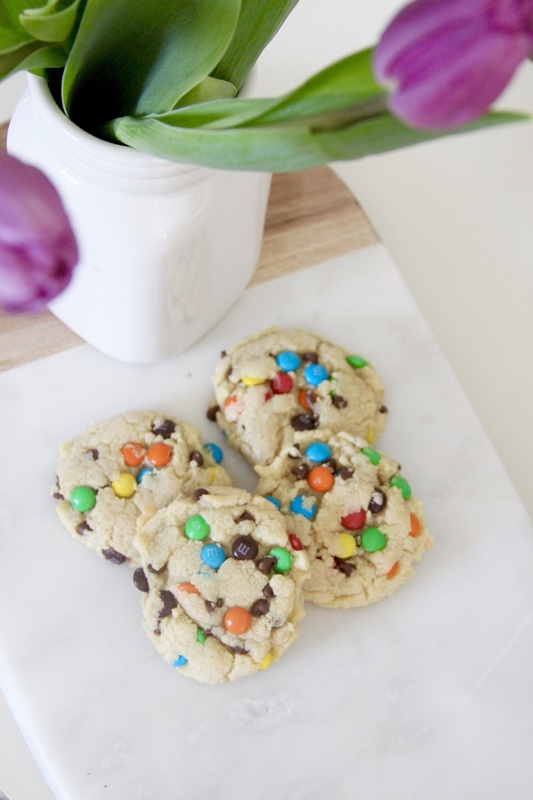 But, y'all it's a great day when you figure out a recipe that delivers a delicious cookie! Cream the softened butter and sugars together. Then add the egg and vanilla. Stir until well combined. Next add the flour, vanilla pudding powder, baking soda, and kosher salt. Mix well. 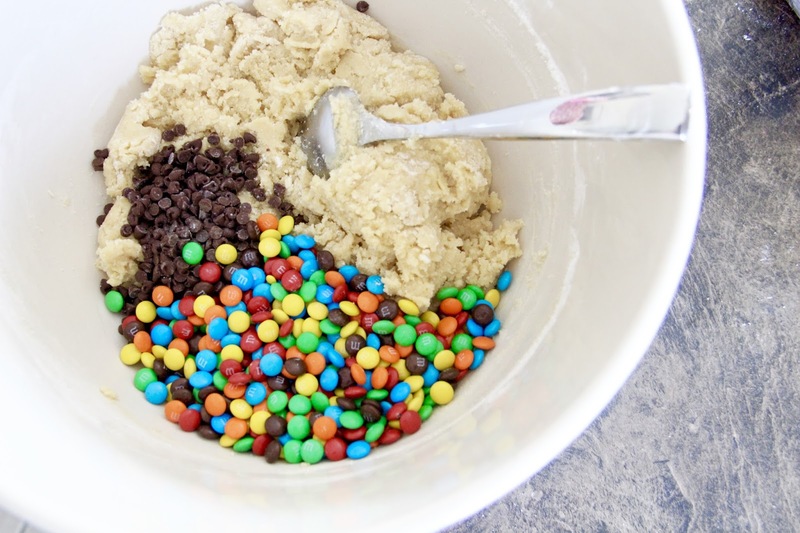 Last, add the mini chocolate chips and M&M's. 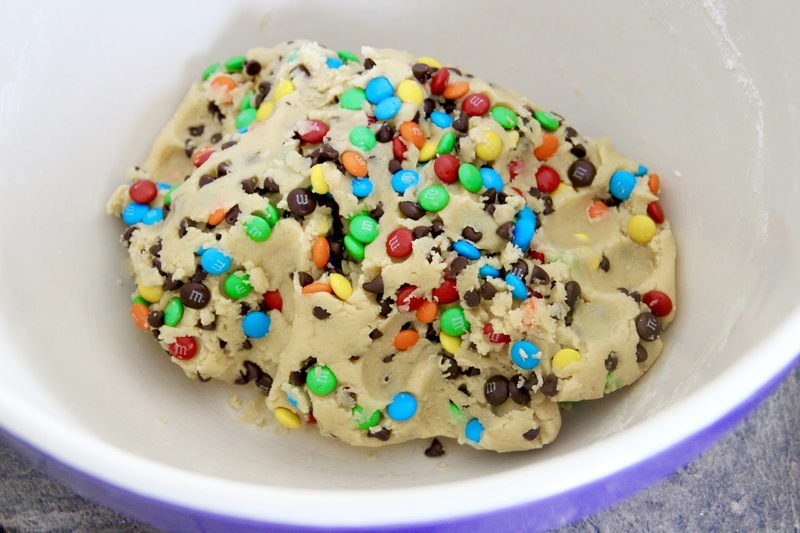 I used my hands to mix these into the dough because of the dough's texture. 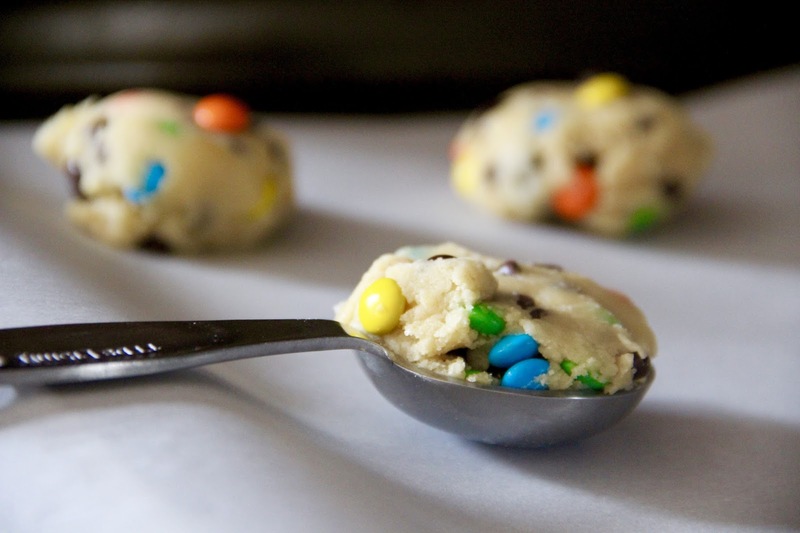 Using a tablespoon, scoop out dough (you'll need to compact it into the tablespoon and then scoop out with a finger) and place an inch apart on a parchment paper-line baking sheet. 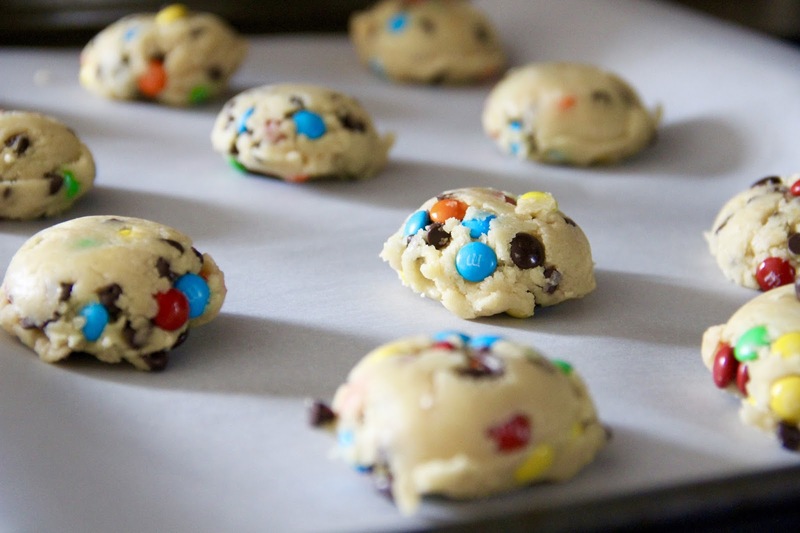 Bake for 8 minutes at 350°. 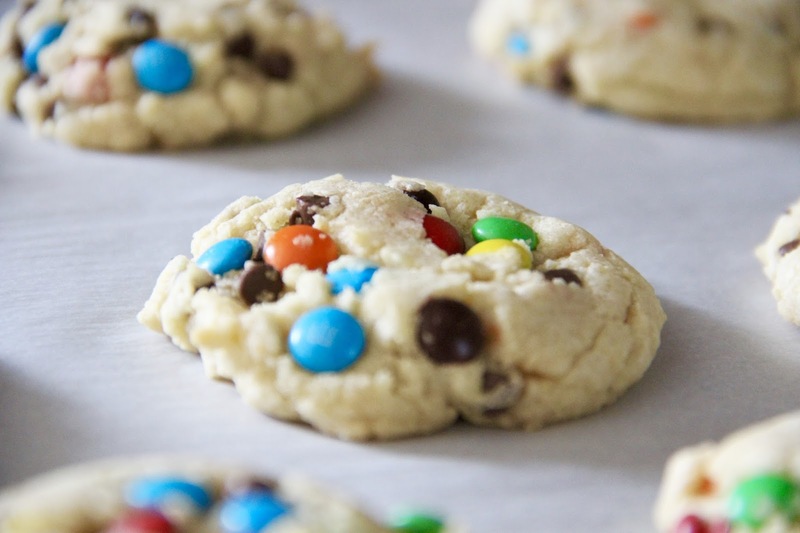 Let them cool just a bit and settle into a flat, crinkled-top cookie. Enjoy!